This product is pasteurized and has no live cultures. The flavor is preserved through a gentle de-hydration process during which the fresh buttermilk is heated with steam, (Much like a double boiler) until the product is 40-50% solids. This thickened product is then sprayed into a heated chamber in a fine mist which dries into the powder. Add 4 tablespoons buttermilk powder to 1 cup cold water. Mix well and use as you would fresh buttermilk. Makes 1 cup. 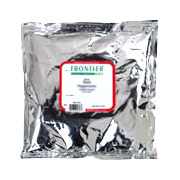 Buttermilk Powder is shipped in a discrete, unmarked package. Orders are processed immediately and usually take about 3 to 5 working days to be received. We do ask that you try it for 2 to 3 weeks to feel the full effects. Any information received is used only for order processing and shipping purposes. Your information, such as e-mail address, will never be disclosed to a third party.